A wellbeing app and practitioner initiative designed to increase workplace happiness and developed by Lanes Group plc has won a water industry innovation award. The idea of combining digital app technology with professional wellbeing support for workforce colleagues who need it has won the 2018 Institute of Water South East Region Innovation Award. Judges at the event described the programme as “revolutionary” and were impressed by the impact it has had in supporting individual employees and helping to retain highly-skilled and valued colleagues. Ben Draycott, Special Projects Manager for Lanes Utilities, part of Lanes Group, gave a presentation about the initiative to a judging panel in front of an audience at the innovation award event held in London. The wellbeing app and practitioner programme has been developed to support Lanes Utilities’ work as Thames Water’s wastewater network services maintenance partner. 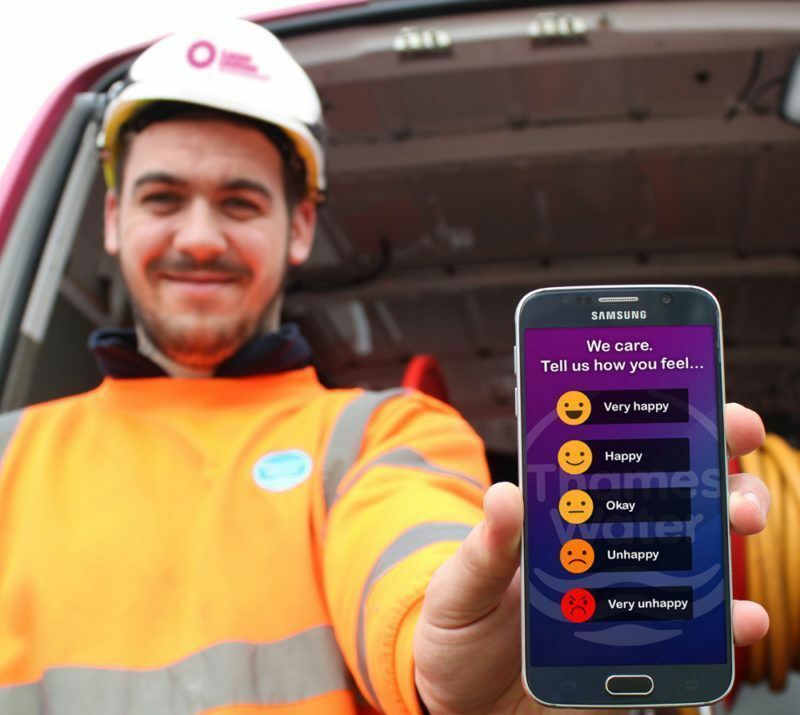 At the start of each shift, the mobile phone wellbeing app prompts operational colleagues to answer the question: how do you feel? They have to click one of five buttons, from very happy to very unhappy. Colleagues who click unhappy or very unhappy are given the option of being contacted by a professionally-qualified wellbeing and mental health practitioner employed by Lanes Utilities. She will then work with the colleague for as long as they want to help resolve what is making them unhappy, whether it is a personal or a work-related issue, and liaise with external agencies, like GP practices, as well. Since the programme was introduced in mid-2017, Lanes Utilities’ employee churn rate has halved, saving the business tens of thousands of pounds in new recruit training costs. It has also contributed to a root-and-branch review of training, pay scales, and management decision-making. As a regional winner, the wellbeing app and practitioner programme now goes forward to the Institute of Water’s national innovation awards, being held on June 21st 2018.